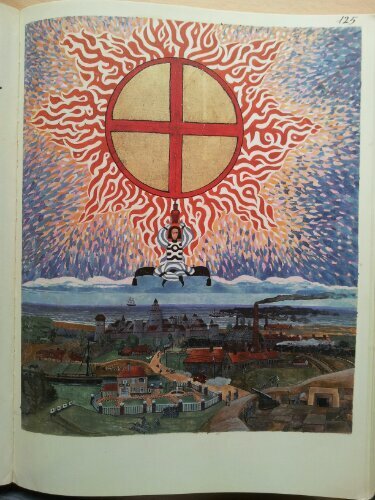 St Peter’s House Library obtained a copy of The Red Book, which contains writing and ink drawings made by Carl Jung during the years he worked with his inner visions, for me to look at. The book is beautiful and profound. The message that runs throughout is not to follow Jung’s path but to find and follow your own. If the way is planned out it is not the way (this sounds Taoist). I’m letting go of my intentions (the road to hell is paved with good intentions), which were: to build in week one, film in week two and edit in week three. Now the film is showing me what it needs. It’s not so neat and tidy as the plan. The plan helped me start and now I have no idea where it will end. I only know when it will end. Jung’s method is to go inward and to stop being in the world. He talks about the spirit of the times and the spirit of the depths, which I translate into fashion/morality versus inner truth. He did his inward journeying at night and reconnected with modern times during the day, rather than follow the example of, say, Christ, by going into isolation for a month. He did this in order to achieve balance and to avoid complete breakdown. It makes sense to have balance in inner and outer worlds; my own experience has shown me that it’s very difficult to reconnect socially after a long period of isolation. It’s much better to keep the social muscle exercised. 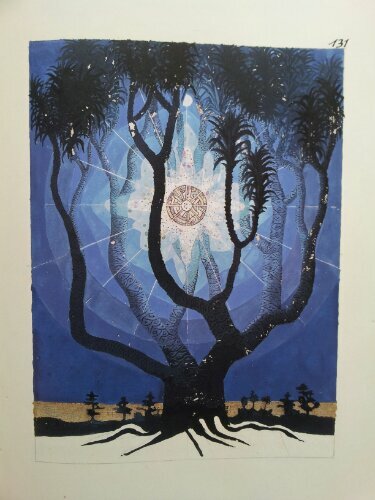 The work Jung did on himself, that was documented in The Red Book, became the basis for his later work. He truly walked his talk and I value that immensely. This entry was posted in sound and vision and tagged carl jung, inner truth, morality, sound and vision, the red book by Julia Fry. Bookmark the permalink.